Judd Trump beat Ronnie O’Sullivan 4-3 in a sensational final at Players Tour Championship event nine in Antwerp, Belgium. A high quality encounter between two of snooker’s most dazzling talents at the Lotto Arena was watched by a crowd of nearly 1,500. They saw O’Sullivan open with a break of 63 to take the first frame, before Crucible finalist Trump fired in 68, 65 and 65 to go 3-1 up. Back-to-back centuries, 118 and 132, saw O’Sullivan back to 3-3 but Bristol’s Trump took the deciding frame with runs of 44 and 41, aided by a fluke on match-ball. It’s World No 7 Trump’s second PTC title this season and he is rewarded with 10,000 Euros and 2,000 ranking points. 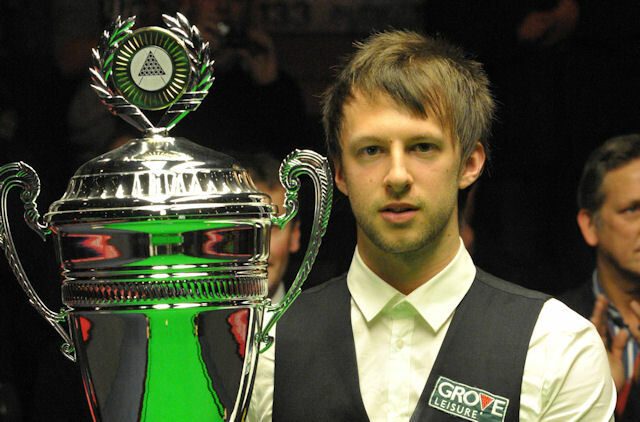 Trump, O’Sullivan and Neil Robertson have dominated the PTC series so far, winning two apiece of the nine events. “It was a really special match because the atmosphere was like the World Championship final, ” said 22-year-old Trump. “Ronnie always gets more support so to deliver a performance like that against him gives me a boost. He makes big breaks and puts you under it. Even at 3-1 up I was just hoping for a chance to win it. The PTC is a series of 12 short events, with the top 24 on the final Order of Merit going through to the Grand Final in March, providing they have played in at least three domestic events and three overseas. The next tournament is PTC10 in Sheffield from November 27-30.